Description: A perennial plant growing up to 6 feet. It has hairy stems and green leaves divided into 12-18 pairs of leaflets. It is a member of the pea family and is closely related to licorice. Habitat: Astragalus is native to northern and eastern China as well as Mongolia. It can be successfully grown in temperate regions throughout the world. History & folklore: The word astragalus is derived from a Greek word meaning "anklebone". It has been used in TCM (traditional Chinese medicine) for centuries and is highly regarded as a classic energy tonic. It is believed to warm and tone the wei qi (a protective energy circulating just beneath the skin) helping the body adapt to external influences. Medicinal uses: The range of medicinal uses for astragalus is astounding. 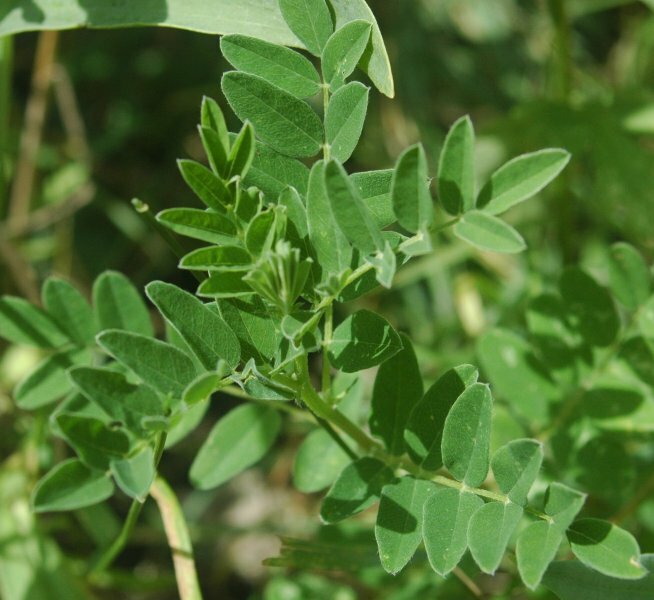 Here are just a few of the many benefits of this important herb: Astragalus stimulates both LAK cells and T cells, two types of immune cells within the body that attack cancer. It also prevents white blood cell depletion during chemotherapy. It is beneficial in the treatment of angina, atherosclerosis, congestive heart failure, certain types of bladder infection, burns, the common cold, diabetes, HIV/AIDS, infertility, lupus, rheumatoid arthritis, and myasthenia gravis. It compensates for immune damage caused by many prescription medications, and is also useful in preventing side effects in certain medications. It is an overall tonic that strengthens digestion, increases metabolic activity and stimulates the immune system. It normalizes function of both the heart and kidneys. It helps treat prolapsed organs, especially the uterus and is beneficial for uterine bleeding. Astragalus is also reported to increase physical endurance. Magical/Energetic uses: The energy of Astragalus is uplifting, balancing, and protective. Keep the dried root in a sachet in your kitchen or other area of your home to promote both energetic and physical health, balance, and peace. Having the live plant on your property helps to infuse it's energy in your yard and living space, and you can burn the dried root and/or leaves in or around your home for the same effect.